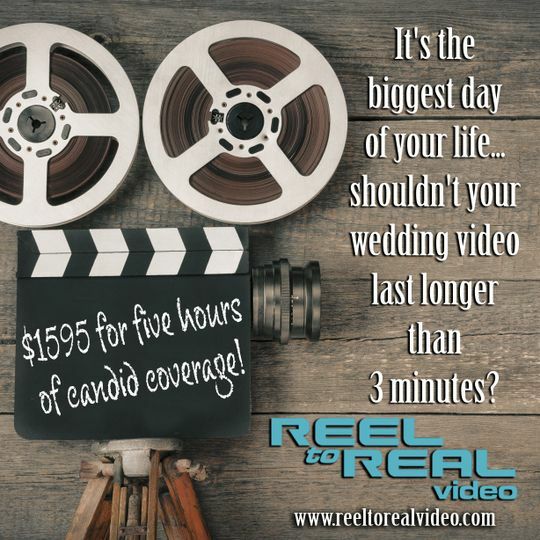 Looking for complete coverage of your wedding day and not just a three minute highlight video? 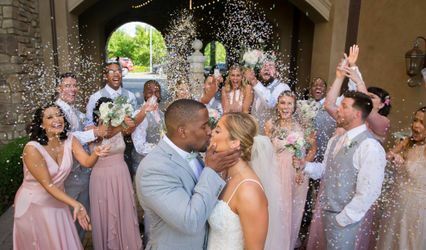 We pride ourselves on giving you full coverage of your wedding day -- telling the story of your event. 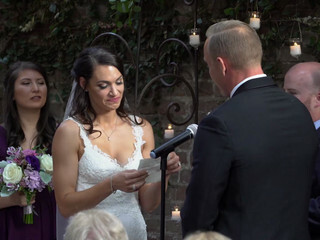 We are documentary videographers, which means we see our job as being your eyes and ears for the day; capturing everything so after the wedding you can sit down and experience your wedding from beginning to end as if you were a guest at your wedding. 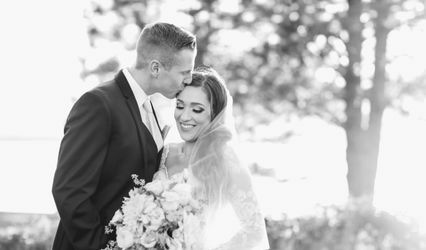 While other companies try to convince you that you won't want to sit down and watch a two to three hour video of your wedding, we know the truth is, YES YOU DO! Of course you want to see all the detail shots of your decor, all the crazy shots of your guests having fun. And NO, a three minute trailer video isn't going to do your wedding justice. Of course we do provide you with a highlight video to show your friends (ours is approx. 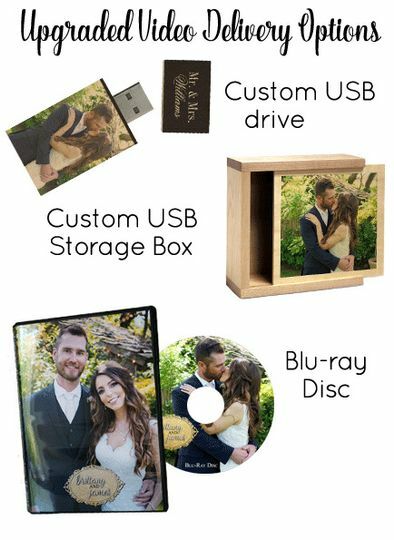 10 minutes), but in addition you will receive a fully-edited (not raw) version of your wedding that includes every key moment in its entirety (ceremony, grand entrance, toasts, first dance, parent dances, specialty dances, tosses, etc.). 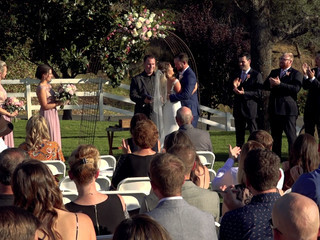 The video also includes montage sequences (quick clips set to music) of things like guests arriving, cocktail hour, your photoshoot, dinner, greeting guests, etc. Trust us, the day goes by so fast, you WILL want to see everything that happened. 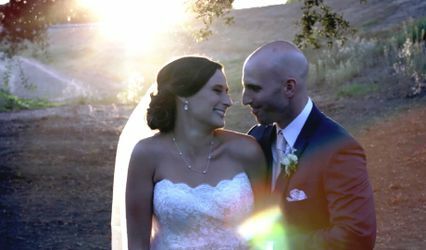 If you are looking for just a quick, cinematic re-cap of your wedding, that's not what we do. If you are looking for extensive coverage at reasonable prices, then you have come to the right place! 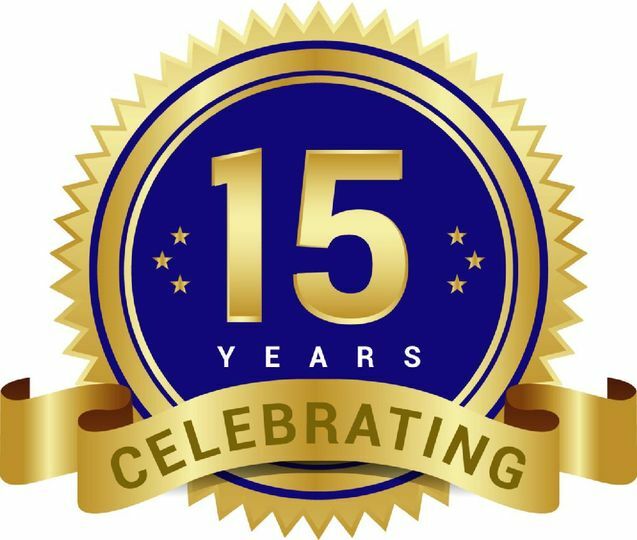 2018 was our 15th year! We offer Full Length Videos! There are now words to describe how incredibly happy my husband and I are with our wedding video! Reel to Real did a stunning job of capturing our day! They not only exceeded our expectations, they customized our video to really capture us as a couple. 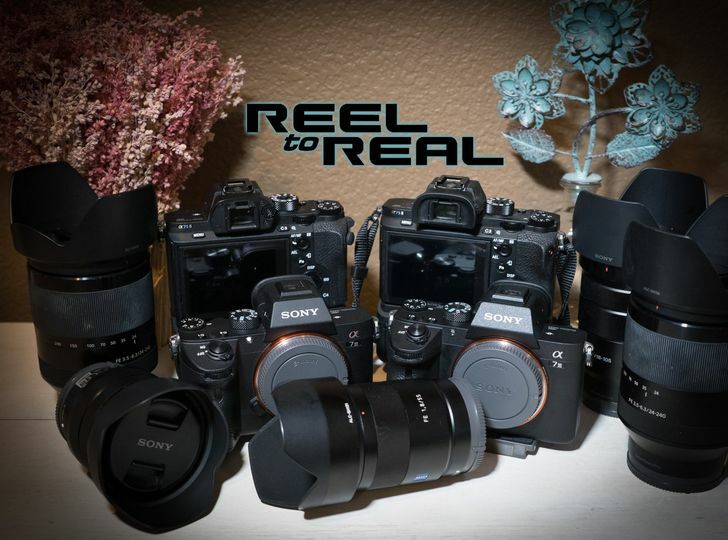 I’ve have the pleasure of knowing the husband and wife team behind the cameras of Reel to Real now for a long time. They’re amazing people and highly qualified professionals. 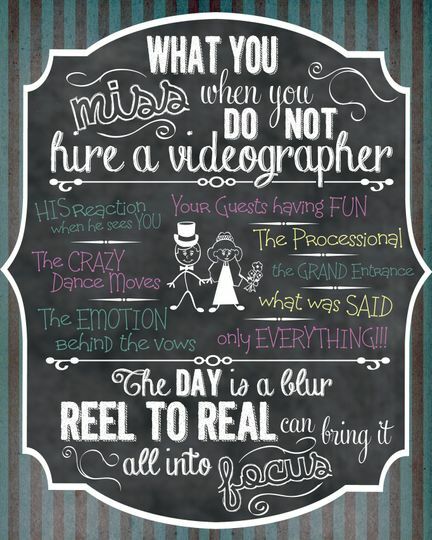 Stop looking elsewhere for videographers for your special occasions. Go with the best and get blown away with the amazing quality of their work like my husband and I were! If you're questioning if a videographer is worth the money it is! Being the bride and groom there are so many details all day that are missed. We hired Chris and his crew for our wedding in April and were more than impressed. We got a 3 min video of highlights, plus an hour and half video of details, songs, speeches, dancing etc. We are so grateful that we can look back on all the details of our wedding for years to come and still be able to remember and cry tears of joy. They were absolutely amazing and got the best side of everyone there! 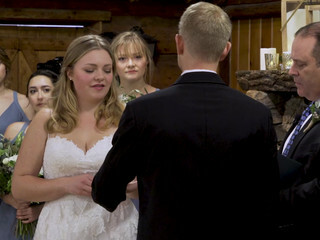 I’m so happy we went with Reel to Real for our wedding videography! Not only are they affordable, but our video turned out absolutely amazing. I would recommend them to anyone! 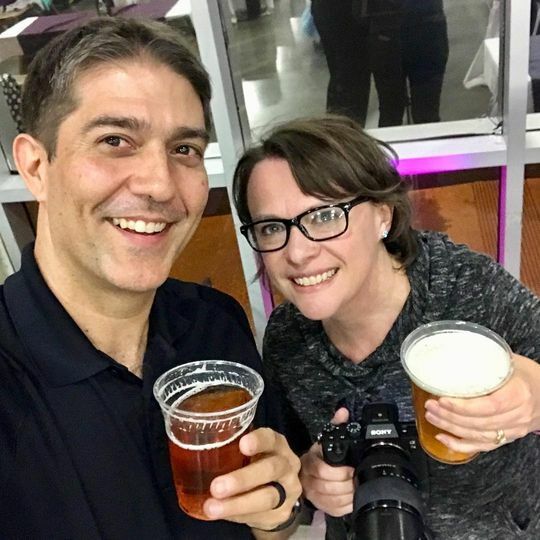 Reel to Real is a fantastic team of videographers! 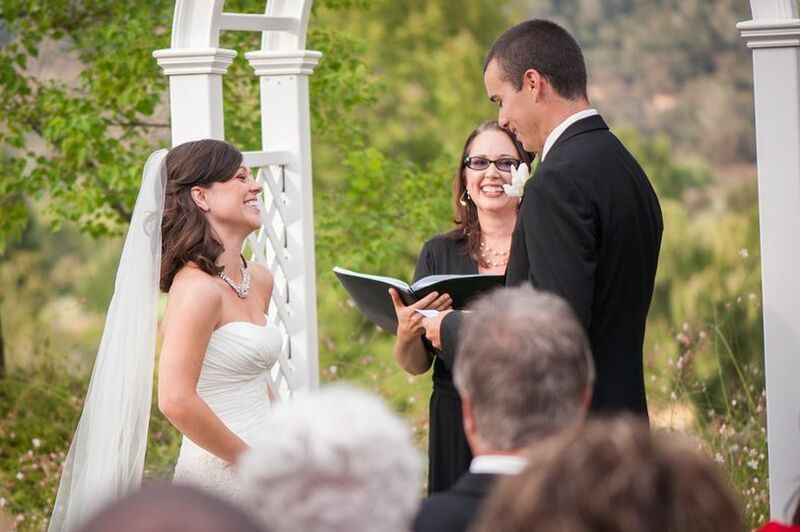 We see them often at wedding ceremonies and we always look forward to working with them. They are true professionals, and we recommend them often to couples. We&apos;ve always had wonderful experiences working with Reel to Reel Videography. 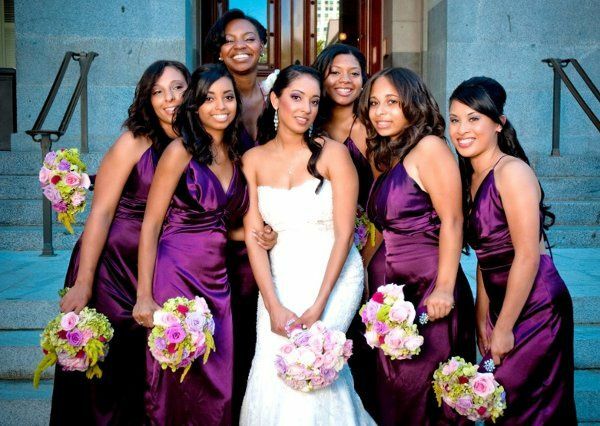 They&apos;re also a fixture at Sacramento Bridal events.When you meet them I&apos;m sure you&apos;ll like them as well. They are so professional and fun to work with - their films are beautiful too!